This blog post describes how to configure the open source NGINX software or NGINX Plus as a transparent proxy for traffic to upstream servers. It explains how you can use a transparent proxy to spoof the source IP address of packets to implement IP Transparency, and how you can implement a load‑balancing mode called Direct Server Return for UDP traffic. The information in this post apply to both the open source NGINX software and NGINX Plus. For the sake of brevity, we’ll refer only to NGINX Plus. Editor – This is the fifth in a series of blog posts that explore the new features in NGINX Plus R10 in depth. NGINX Plus operates as a Layer 7 reverse proxy. This allows NGINX Plus to apply a number of optimizations and enhancements to the network requests it manages. As a consequence, upstream (load‑balanced) servers observe that all traffic originates from an IP address on the NGINX Plus proxy. This is a challenge if the upstream server needs to determine the true origin IP address (the remote client’s), for example, for authentication or logging purposes. IP Transparency ensures that the upstream servers observe that each connection originates from the remote client that initiated it. It is applicable to TCP‑ and UDP‑based protocols. Direct Server Return (DSR) further arranges that responses from the upstream servers go directly to the remote clients and bypass the intermediate load balancer. It is applicable to UDP‑based protocols and can be implemented by performing NAT (network address translation) on the origin server or an intermediate router. It is complex to deploy and troubleshoot IP Transparency and DSR. Only implement these configurations if the standard reverse proxy mode of operation is not sufficient for your application or service. Unlike a switch or router that simply forwards packets, NGINX Plus operates as a Layer 7 reverse proxy. In this mode of operation, NGINX Plus manages separate client‑side and upstream‑side TCP connections (for HTTP and TCP traffic) or UDP sessions in order to control the communication between the remote client and the selected upstream server. Remote clients make TCP connections or send UDP datagrams directly to the NGINX Plus reverse proxy at its published IP address and port. NGINX Plus terminates the TCP connection or UDP session and reads the request data within. NGINX Plus then makes a new connection (or reuses an existing, idle connection) to the selected (load‑balanced) upstream server. When NGINX Plus writes the request to the upstream server, the connection originates from NGINX Plus’s internal IP address. When the upstream server responds to the request, it writes data to the NGINX Plus internal IP address. NGINX Plus receives the response data on the upstream‑side connection. It may process or modify the response (for example, to apply compression to an HTTP response). NGINX Plus then writes the response data on the client‑side connection. A consequence of this standard reverse proxy mode of operation is that the upstream server observes that TCP and UDP traffic originates from the local NGINX Plus proxy. The Layer 7 reverse proxy mode of operation brings significant performance gains and efficiencies for HTTP and TCP traffic (including TCP optimizations, buffering, and HTTP keepalive reuse). It poses a challenge if the upstream server needs to determine the true origin IP address of the connection or session, for purposes such as authentication and access control, rate limiting, and logging. For some protocols, NGINX Plus can use the X-Forwarded-For HTTP header or the PROXY protocol to provide the origin IP address to upstream servers. This post describes two additional methods, made possible by the transparent parameter to the proxy_bind directive, which was introduced in NGINX Plus Release 10 (R10). The intention of IP Transparency is to conceal the presence of the reverse proxy so that the origin server observes that the IP packets originate from the client’s IP address. IP Transparency can be used with TCP‑based and UDP‑based protocols. To demonstrate IP Transparency, first create a load‑balanced cluster of four web servers that respond with some simple connection information. This simple step creates a significant challenge, however, because you need to ensure that response (egress) traffic to the remote client is correctly handled. The response traffic must be routed to the NGINX Plus reverse proxy, and NGINX Plus must terminate the TCP connection. NGINX Plus then sends the response traffic to the remote client using the client TCP connection. On the NGINX Plus proxy server, configure the worker processes to run as root, so that they can bind upstream sockets to arbitrary addresses. On the NGINX Plus proxy server, ensure that each connection originates from the remote client address. On the upstream servers, configure the routing so that all return traffic is forwarded to NGINX. On each upstream server, remove any pre‑existing default route and configure the default route to be the IP address of the NGINX Plus reverse proxy. Note that this IP address must be on the same subnet as one of the upstream server’s interfaces. If your upstream servers need to be able to connect to external servers, you also need to configure the new NGINX Plus gateway to forward and masquerade traffic – see Enabling Upstreams to Reach External Servers below. On the NGINX Plus server, configure iptables to capture the return packets from the upstream servers and deliver them to NGINX Plus. Observe that the connections now appear to originate from the remote client’s IP address (192.168.99.1) rather than from an address local to the NGINX Plus load balancer. If the configuration does not work, see Troubleshooting below. Summary: How Does the IP Transparency Configuration Work? NGINX Plus receives an HTTP request from a remote client (192.168.99.1). NGINX Plus makes a load‑balancing decision, selecting an upstream server (for example, 172.16.0.11) to connect to. Before NGINX Plus connects, it binds its upstream socket to the remote client’s address. The upstream server receives the connection, apparently originating directly from the remote client. The upstream server responds, addressing packets to the remote client’s address and routing them through NGINX Plus (the default router). The iptables rule on the NGINX Plus proxy marks these packets and the routing delivers them locally. NGINX Plus reads the response. NGINX Plus then sends the response to the remote client. The net result is that, from the upstream servers’ perspective, connections appear to originate directly from the remote clients. Direct Server Return (DSR) is an extension of the IP Transparency concept. In IP Transparency, the upstream server receives packets that appear to originate from the remote client. With DSR, in addition the upsteam server responds directly to the remote client; the return packets bypass the load balancer completely. The load balancer never sees the return packets, so it cannot detect whether the upstream server is responding or has failed. The load balancer cannot inspect a request beyond the first packet before selecting an upstream, so its ability to make load‑balancing decisions (content‑based routing) is very limited. The load balancer cannot participate in any form of negotiation or stateful processing, such as SSL/TLS. Most other application delivery controller (ADC) features are not possible with DSR, such as caching, HTTP multiplexing, and logging. DSR is of limited use for TCP protocols, and in any case NGINX Plus’ reverse‑proxy architecture cannot be applied to DSR/TCP. UDP protocols are much simpler, with none of the connection semantics of TCP. You can configure NGINX Plus to support DSR for UDP protocols such as DNS, and this can deliver performance benefits. Specifically, DSR means NGINX Plus does not need to keep UDP sockets open in expectation of a response packet (which improves scalability), and response packets can bypass NGINX Plus’ Layer 7 processing completely (which reduces latency). How Does a DSR Configuration Differ from IP Transparency? NGINX Plus must spoof both the remote client IP address and port when sending datagrams to upstream servers (proxy_bind port configuration). NGINX Plus must not be configured to expect response datagrams from upstream servers (the proxy_responses 0 directive). An additional step is necessary to rewrite the source address of the return datagrams to match the public address of the load balancer. Additionally, NGINX Plus must be configured to perform active health checks against the upstream servers. NGINX Plus cannot rely on its usual passive checks to verify if a server is healthy because NGINX Plus does not observe the response packets sent by the server. To demonstrate DSR, first create a load‑balanced cluster of four DNS servers that respond with different IP addresses for lookups of the name www.example.com. The proxy_responses and proxy_timeout directives implement a basic health check. If an upstream server does not send 1 response within 1 second, NGINX Plus assumes that the server has failed and retries the DNS request. This enables the upstream server to observe the full source IP address, so it can construct response datagrams that are sent directly to the remote client. The upstream server generates response (“egress”) packets with the correct IP destination, but using its local IP address as the source address. The source address needs to be rewritten to the IP address and port of the NGINX Plus load balancer that the client originally connected to. Both methods use the stateless NAT capability that you configure with the tc command. If the upstream servers are directly connected to the Internet (the topology means that return packets are not sent through an intermediate router you can control), then you must select the origin NAT method. The response packets are not delivered to NGINX Plus, so you need to disable the health check you configured in Creating a Standard UDP Reverse Proxy Service: modify the proxy_responses directive and disable the proxy_timeout directive. Now NGINX Plus does not wait for responses, and does not conclude that the upstream server has failed when it does not receive them. Disabling this check also allows NGINX Plus to reuse the socket resources immediately. You can rewrite egress packets on a single intermediate router. For example, if the upstream servers are located on a private network behind the NGINX Plus load balancer, you can use the load balancer as a default route and rewrite the packets as they are forwarded. Ensure that you select the appropriate egress interface and appropriate IP addresses of each upstream server. For more information on stateless NAT, see the tc nat man page. Depending on your configuration, you may be able to reduce the tc filter commands to a single command by using CIDR masks for the src and egress old parameters. If you are able to configure the networking on each upstream, especially if the upstreams are directly connected to the Internet, you can use the following configuration. It must be applied to each upstream server. Ensure that you select the appropriate interface and IP addresses on each upstream. 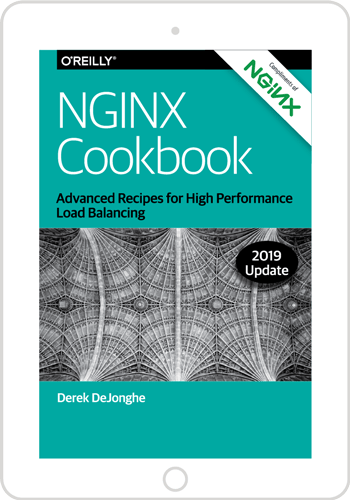 To test the configuration, send DNS requests to the NGINX Plus load balancer and verify that they are load balanced between the upstream servers. DSR has no directly visible effects. You can be confident that it is working if you have used the proxy_responses 0 directive to configure NGINX Plus not to expect response packets, yet your DNS clients receive load‑balanced responses. You can further observe the packet flow using tcpdump, as described in Troubleshooting below. Summary: How Does the DSR Configuration Work? NGINX Plus receives a UDP datagram from a remote client (192.168.99.1:port). NGINX Plus makes a load‑balancing decision, selecting an upstream server (for example, 172.16.0.11) to write the datagram contents to. Before NGINX Plus connects, it binds the local side of the upstream socket to the IP address and port of the remote client. The upstream server receives the datagram sent by NGINX Plus, which apparently originates directly from the remote client address and port. The upstream server responds, sending datagrams back to the remote client. The upstream server sets the source IP address and port of the response datagrams to its own local IP address and port. The source IP address (and port if necessary) is rewritten by either the upstream server (the origin NAT configuration) or an intermediate router (the router NAT configuration). The remote client receives the datagrams, addressed with the correct 4‑tuple (source and destination IP addresses and ports). NGINX Plus does not expect to observe any response datagrams, and closes the upstream socket immediately. The net result is that response packets bypass the Layer 7 processing in NGINX Plus and go directly to the remote client. setsockopt(IP_TRANSPARENT) failed (1: Operation not permitted) while connecting to upstream, client: 192.168.99.1, server: , request: "GET / HTTP/1.1", upstream: "http://172.16.0.11:80/", host: "192.168.99.10"
Verify you can ping clients and servers from the NGINX Plus proxy. The upstream servers cannot ping remote client IP addresses unless you first add the necessary routing and you configure the NGINX Plus intermediary to forward packets. Linux’s “reverse path filtering” protection might silently reject packets from NGINX Plus because the source IP address is associated with a subnet on a different interface. Return packets will not use the default route and will instead be sent directly to the locally connected remote client. Investigate any unusual behavior using the checks listed below. Are there any unexpected routes? Can you confirm that all packets in the flow will be routed to the correct destination? Recall that in the iptables and Router NAT configurations, all egress packets must be routed through the intermediate NGINX Plus proxy. If your upstream servers reside on a private network and use NGINX Plus (or another server) as their default gateway, you may wish to configure the gateway to allow the upstream servers to reach external (Internet) hosts. Getting Assistance from NGINX, Inc. The configuration for IP Transparency or Direct Server Return is complex, and other intermediate network devices might impact the deployment by dropping or otherwise rewriting packets. If you need assistance, NGINX, Inc.’s Professional Services team is ready to help. Explore IP Transparency and DSR with NGINX Plus for yourself – start your free 30-day trial today or contact us for a live demo.